Steve Reed, MP for Croydon North, has called on the Chancellor to use the upcoming Autumn Statement to reverse school funding cuts. 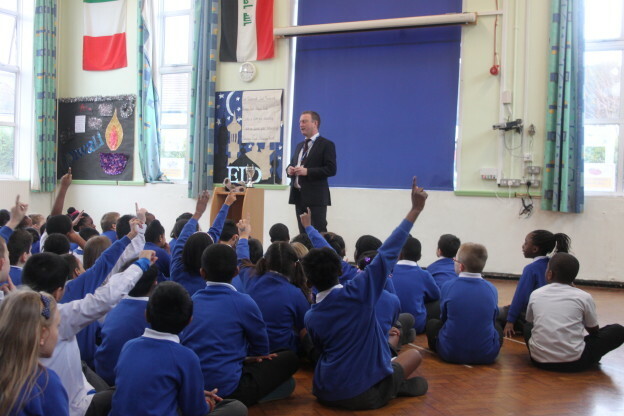 New figures released by the National Union of Teachers show that school funding in Croydon North is expected to fall by £337 per pupil by 2020 – an average 7% budget cut per school. With Croydon already facing a school places shortage because of years of Tory failure to invest in our schools, further cuts would mean an increase in class size and more children being let down. The Autumn Statement, in which Philip Hammond will set out the Government’s economic policy, must now include further money for education. “These figures are deeply worrying at a time when Croydon faces a crisis in terms of how many places our schools have. “These are shaping up to be the largest cuts to school funding in a generation. Croydon will see bigger class sizes, subjects dropped, and buildings fall in to disrepair.